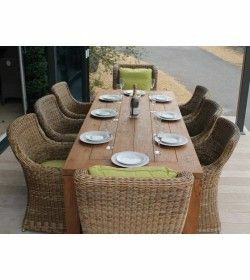 Recycled Teak Dining Sets There are 23 products. 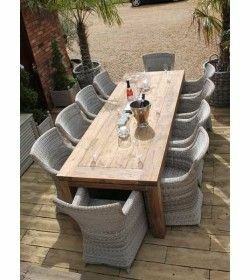 Reclaimed Teak Furniture offers a move away from the norm.and different whilst at the same time being functional, practical and expertly made by skilled craftspeople to their bespoke, hand-made qualities, It makes sense environmentally as well. 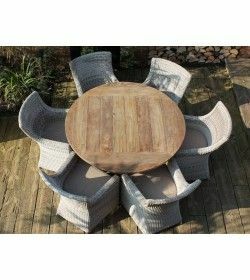 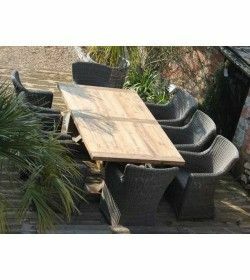 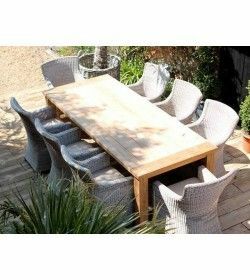 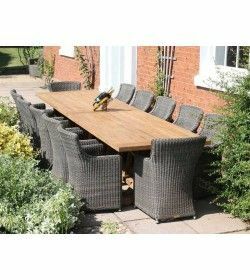 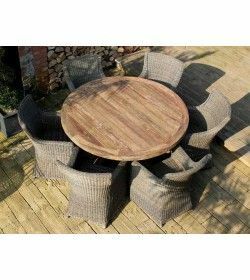 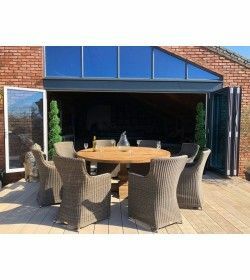 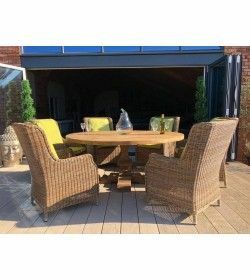 With a stunning four metre reclaimed teak Valencia Table and 12 handwoven outdoor rattan armchairs, it works perfectly in commercial settings and large domestic premises. 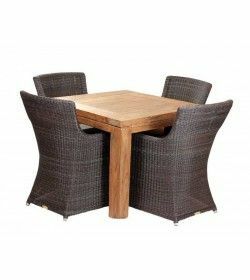 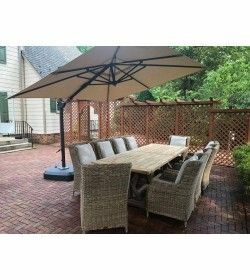 suitable for both indoor furniture and outdoor garden furniture. 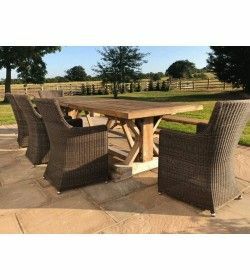 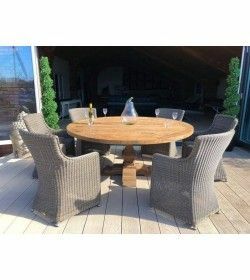 Our recycled teak dining sets come in three colours cappuccino, black or summer grass. 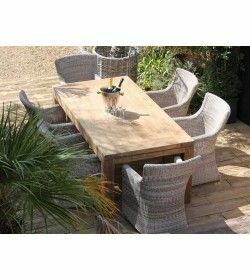 Recycled teak furniture delivered across Spain, Costa Blanca, costa del sol, and all other areas of mainland spain and islands.